With many casinos in the United States now having physical casinos and online casinos to promote, it will be interesting to keep a close eye on how a company markets itself. 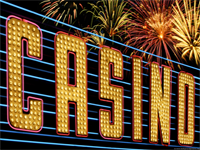 On the main casino home page, there is now an opportunity to divert traffic away from the actual casino and to the online casino. Some casinos will see this as a very smart move whereas other casinos will think that the online casinos can be promoted in other ways so as not to detract from the main casino. This is going to be a fascinating element of US online poker and casino promotion and in New Jersey, things are already shaping up. Let’s face it, online space on a website is hot property and it should be considered as premium land. There are so many things that a casino has to tell their players about what is going on in their physical casino, you can see why they would be reluctant to give up promotional space on the homepage of their site. This is not a criticism of the online casino and poker element, it is just working out how best to balance the opportunity cost involved with using space for a particular focus or promotion. Space used to promote one aspect will be space lost for another aspect and this is certainly something that casinos will be weighing up. The Borgata Casino is definitely confident about the rise of online casino play. This is because in early January 2014, they were giving over half of the front page of their website to online gaming and gambling. This is a big amount of space to hand over but with online casino and online poker options available, there is no doubt that this is a company which fully believes in the benefits of online gaming. If you are keen to play online poker USA opportunities this year, the commitment of this company to the cause will make it a clear stand-out for many players. The Tropicana comes right behind Borgata, and they don’t even have an online poker site at the moment! This company is certainly pushing their online casino content and the use of a slider allows the site to promote more of their options and promotions. It is important for casinos to be smart in how they promote and there is no doubt ways to get more from the space they have to offer. Sliders and moving banners are definitely ways to pack in more information and these elements can also keep players on site for longer. A player that is keen to find out all of the promotions on offer from the company will be more than happy to wait around to see what the latest promotions are, which is all good when it comes to SEO! Golden Nugget does have an online casino section on the main page of their site, but it is not that obvious. There is a lot going on with this home page and players will need to be ready to dig out the online casino link from the Golden Nugget site. This is an iconic casino and no doubt plenty of people still want to find out what is on offer from the casino, so it makes sense that the physical casino will still be number one for plenty of folk. However, given that the Golden Nugget casino is a name that many people know and trust, it is inevitable that this is a name that people will look for when it comes to online casino and poker play. It may be of benefit for the site to push the online gaming element with a stronger touch. You’ll likely find that over time, online poker promotions become more apparent for sites and players. This entry was posted in Casino, Uncategorized. Bookmark the permalink.